My DeHaan Services site features stand-alone articles relating to Toronto events, as well as static pages describing my business services and blog posts to publicize what I’ve written at other sites. I like to think that listing my DeHaan Services articles about Toronto events is a public service. This list, which only includes articles of special note for Toronto, is in chronological order, with the oldest at the top and newest at the bottom. “WinterCity versus Winterlicious” in Jan. 2010. “One or Two Marathons in Toronto?” in Feb. 2010. “The 2nd half of Black History Month in Toronto” in Feb. 2010. “Fireside Culture Week in Parkdale” in Feb. 2010. “Fitness: Interim Gold Standings at Vancouver 2010 Olympics” in Feb. 2010. “Fitness: Congratulations to USA for the Vancouver Winter Olympics 2010” in March 2010. “Congratulations to Paula Findlay for 2nd win in a row” in Aug. 2010. “Scotiabank Toronto Waterfront Marathon for 2010” in Sept. 2010. “R.I.P. Danny Kassap, Canadian Marathon Runner” in May 2011. “Dueling Marathons in Toronto versus Mississauga in 2011” in May 2011. “I Registered for the 2011 Toronto Challenge 5Km” in May 2011. “Better Late than Never to Report on the 2011 Toronto Challenge 5Km” in June 2011. 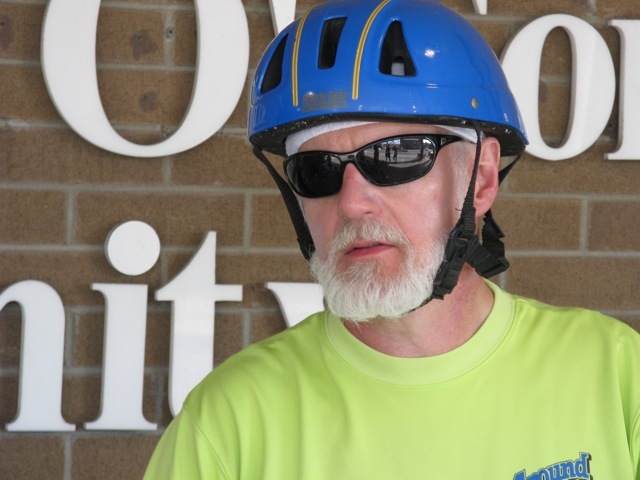 “Can a Runner Ride a Bicycle for 100Km?” in June 2011. “Two Toronto Events for Aug. 5-7, 2011” in Aug. 2011: Taste of the Danforth and Harbourfront. “How to Find Toronto Buskerfest 2011” in Aug. 2011. “Beach Celtic Festival 2011 in Kew Gardens of Toronto” in Sept. 2011. “The 2011 MCC Quilt Auction and Relief Sale Event at Black Creek Pioneer Village” in Sept. 2011. “Kew Garden Ceremony for the 2011 Toronto Scotiabank Waterfront Marathon” in Sept. 2011. “Records and Relays Before the 2011 Scotiabank Toronto Waterfront Marathon” in Oct. 2011. “Triumph and Tragedy at the 2011 Scotiabank Toronto Waterfront Marathon” in Oct. 2011. “Prepare for the 2012 Toronto Triathlon Event” in Oct. 2011. “A Solar Alignment for Toronto in Oct. 2011” in Oct. 2011. “Masters Runners to be Masters of the 3000m” in Dec. 2011. “Plan to Attend the 2012 Levee at Toronto City Hall” in Dec. 2011. “Prepare for the 2012 Quadrantid Meteor Shower” in Jan. 2012. “Marathon Training and Heart Attacks in Toronto vs USA” in Jan. 2012. “Any Risks in Crash Diet by Mayor Ford?” in Jan. 2012, which points to my Fitness and Weight Control site’s article “Weight Loss Risks for Toronto Mayor Rob Ford“. “To Untangle Two Toronto Triathlons in 2012” in Jan. 2012. “The Toronto 2012 St. Patricks Day Parade Will March on March 11” in March 2012. “How to Sign Up for the 2012 Olympic Distance Toronto Triathlon” in early April 2012. “The 2012 Becel Ride for Heart in Toronto” on April 14, 2012. “Try Cycling in Toronto via the 19th Annual Ride for the Rouge” on May 3rd, 2012. “Did We Ignore Vic Toews Preparing for an Emergency?” on May 7th, 2012. “Three Themes for Doors Open Toronto 2012” on May 16th, 2012. “Can the Toronto Centre Island Ferry Schedule be Improved?“, also in May 2012. “Visit DesiFEST 2012 for a Free 12 Hour Concert” on May 24, 2012; it’s been updated for 2013. “Toronto Bike Month for Fitness and Health” on May 28, 2012, which mainly promotes a DeHaan Fitness article but adds some information. “My Double Double Picks for Luminato 2012 in Toronto” on June 2nd, 2012. This is the first of several articles planned to keep people entertained starting June 9th. “The Whereabouts of Woofstock 2012 in Toronto“, on June 3rd; the event runs June 9 & 10. Updated for 2013. “Can You Beat the Toronto Muhtadi International Drumming Festival 2012?“, on June 4th; the event runs June 9 & 10. “A Novel Route for the 2012 Toronto Challenge” on June 6th, about my favourite charity run. “Canada Day 2012 Celebration Choices in Toronto” on June 13th, with a focus on just a few free local events…plus the Toronto Zoo’s African extravaganza, which is neither free nor limited to July 1st. I believe this was my most popular blog article to date. “The Secret 2012 Waterfront Festival at Toronto Sugar Beach” is a free music and arts festival, held as a closely guarded secret until I saw the full-page newspaper ad only one day after the festival began. “Summerlicious 2012 Hosted by Top Toronto Restaurants“: Summerlicious, like its arctic partner Winterlicious, promotes the top restaurants in Toronto with a selection of specially priced lunches or dinners. Check my page to see how to find, and make the most of, the city’s very thorough guide. “Toronto Afrofest 2012 at Woodbine Park” provides the important service of reminding those planning to attend the festival that the venue has moved from Queen’s Park to Woodbine Park. “Toronto Unity Festival 2012 at Various Venues” features urban music and dance competitions at three ticket-taking venues, plus a free concert at Yonge-Dundas Square. “Festival of South Asian Culture in Toronto in 2012” celebrates South Asian culture through music and dance, as well as South Asian cuisine. Some fashion might be included by window-shopping during this variation on Toronto’s “Taste of Street” festivals. “Junior Toronto Carnival 2012 Has Begun” is a day late but certainly not a pound light. “Junior Caribana” is more than just a parade, and my article was indeed in time for people to learn where to view the main event. “Dream of Shakespeare at Todmorden Mills, Toronto, in July 2012” might not be an annual event, but it’s certainly a great price for one of the most popular Shakespearean plays. “Multi-Faceted Toronto Festival of India in July 2012” highlights a three-chariot parade and a two-day vegetarian picnic. “The Two-Weekend 2012 Beaches Jazz Festival Toronto” is one of the few interrupted festivals in Toronto. It requires multiple venues, including 1,500 metres of Queen Street East in Toronto. “Where to Watch the July 2012 Toronto Triathlon Festival Races” is the spectators’ guide to this new athletics competition in Toronto. “July 2012 Live Green Toronto Festival on Downtown Yonge” summarizes and points to the “Live Green” festival site. “Arts, Crafts and Entertainment at Guildwood Toronto in 2012” points to this free annual Scarborough festival in the park surrounding the Guild Inn. “IRIE Music Festival Adjusts to Toronto Violence for Simcoe Day 2012” includes the date for the rescheduled performances. “The Ontario Civic Holiday: 2012 Simcoe Day Events in Toronto” covers a selection of events spanning the first weekend of August, along with a very brief glimse at the man behind the holiday. “Scarborough Arts Hosts a Juried Show at Papermill Art Gallery” also mentions three other Toronto art galleries, of which two have time-limited exhibitions. “Junior Sports Leaders in 2012 Ontario Summer Games in Toronto” publicizes today’s DeHaan Fitness article. “Can India Day Festival 2012, etc. beat Taste of the Danforth?” publicizes the India Day Festival 2012, the 2012 Taste of the Danforth, two arts festivals and the 2012 Wheels on the Danforth antique auto show. All begin around Sat. Aug. 11, 2012. “African Arts and Culture at the Metro Toronto Zoo in August 2012” notes the two final Saturday performances at the zoo for the summer of 2012. “Two Free Performances at Toronto Libraries on Aug. 17, 2012“: How often does a Toronto library host a performance currently starring at Harbourfront? Twice on one day, but at two different branches. “One Triple 2012 Toronto Triathlon Aug. 25-26 on the Islands” is a spectators’ guide to the August triathlon festival on the Toronto Islands. “Toronto Ashkenaz Festival 2012 at Harbourfront or BuskerFest?” can be answered “Both Askenaz and BuskerFest”, because they are on different dates! That’s good for all of us. “Tommy Thompson Butterfly or 2012 Aloha Festival in Toronto” are weekend Toronto events in late August. In 2012, both had earned strong pre-registration for their activities on the shore of Lake Ontario. “Use Mosquito Repellent to Avoid the West Nile Virus” promotes one of my previous Suite 101 articles because West Nile Virus has become more prevalent this summer. “The End of Summer 2012 Labour Day Weekend in Toronto” provides much-needed publicity for ArtFest, the Toronto 2012 Hispanic Festival and the Labour Day Parade to the CNE. “Brazil Day at Toronto City Hall and Festival at Yonge-Dundas Square” notes Brizilian Independence Day ceremonies as well as the street festival that leads up to it. “Effective Head Lice Treatment for Back to School Children” is a public service announcement that should either run in August or October, rather than September, based on when people search for “back to school” versus “kill head lice”. Oh well, this is a topic that bears repeating annually. “Toronto Festivals and Events 1 Weekend After Labour Day 2012” shows just how busy Toronto keeps itself with autumn events. “2012 Quilt Auction at the Black Creek Pioneer Village Relief Sale” updates this Toronto charitable event for Sat. Sept. 15, 2012. “Terry Fox, Applicious Fair and Ukrainian Festival in Toronto“. I admit that the Terry Fox “run to outrun cancer” transcends Toronto, but Applicious and the Toronto Ukrainian Festival are annual Toronto events for September. “The 2012 Metro Toronto Zoo Run Benefits the Zoo” as the charity partner for this annual fitness event. “Wind, Water and Words in Toronto in September 2012” promotes the 3rd annual WindFest, a one-time exhibition dedicated to Toronto’s “water czar” RC Harris, and the annual Toronto Word on the Street event. “2012 Taste of St. Joseph Ukrainian Catholic Church in Oakville” steps across city borders to mention a church open house in Oakville. It also mentions the 2012 Nuit Blanche in Toronto, a one-night multi-venue arts and performance event. “Autumn Jam by Occupy Gardens Toronto in September 2012” is a public-service announcement about a Toronto event by the quietly continuing Occupy movement. “2 Free Events for Thanksgiving 2012 on Queen’s Quay in Toronto” has simultaneous family events for the 2012 Canadian Thanksgiving weekend of Oct. 6-8. “Two North Toronto Canadian Thanksgiving Events in 2012” offers two options for people in north Toronto to enjoy Canadian Thanksgiving 2012 with more of a focus on food. “First International Day of the Girl at Yonge-Dundas Square” promotes what promises to be an annual Toronto event every Oct. 11, based on the United Nations declaration. The sponsor is “Plan Canada”, an offspring of the organization formerly known as “Foster Parents Plan”. “Special Notes for the 2012 Toronto Waterfront Marathon” is an autumn Toronto event that also promotes my DeHaan Fitness article, “Seniors Running for Fitness and Glory in Toronto Marathon“. “Glancing Ahead to the 2012 Kingston Road Village FallFest” quickly previewed the plans for the 2012 Kingston Road Village FallFest for 2012 in Toronto. “Brief Results of the 2012 Toronto Waterfront Marathon” does a bit more than simply report the winners of the 2012 Scotiabank Toronto Waterfront Marathon, by adding some details about Ed Whitlock and Fauja Singh. Just updated Feb. 24, 2013 with a link to a terrific biography of Fauja Singh! “A Wide-Ranging Fall 2012 Beach Studio Tour in Toronto” looks ahead to browsing arts and crafts in a variety of venues in the Beach neighbourhood of Toronto. “The Upcoming Charitable Toronto Zombie Walk 2012” supports the Heart and Stroke Foundation with a 5Km shamble, and should be a lot of fun in other ways also. “Look Out for TorontoHenge in Oct. 2012” points the way to see the blessed sun kiss the streets of Toronto, up to four times per year. “A Few Free 2012 Halloween Events in Toronto” lists several free Toronto events for Hallowe’en 2012. “Four Cheap Events in Toronto for Halloween 2012” is the companion piece, pointing out museum and other cheap Hallowe’en events for Toronto in 2012. “Free Shakespeare for Enrichment Activities for Kids in Toronto” counts as autumn, winter and spring Toronto events in libraries. “Emerald Ash Borer Closes Parks for Tree Removal in Oakville” is a public service announcement for Oakville, but follows up last year’s warnings about this invasive pest. “Choose a 2012 Remembrance Day Ceremony in Toronto” offers eight civic ceremonies to observe Remembrance Day 2012 in Toronto. “Parades or Ceremonies for Remembrance Day 2012 in the GTA” names events in three Ontario GTA communities: Markham, Mississauga and Oakville. “Must Toronto Ask When is Diwali in 2012?” answers its own explicit and implicit questions. “Tips on the 2012 Santa Claus Parade Route in Toronto” provides the date, time, route and hints. “Free Events for the 2012 Grey Cup Festival in Toronto” touts the free entertainment for Grey Cup 2012. “Three Outdoor Carol Events in Dec. 2012 in Eastern Toronto” lists 3 opportunities to go Chrismas caroling outdoors in early Dec. 2012 in Toronto. “Does Toronto Stand Alone in Banning Plastic Bags?“. Surely not; this article introduces a well-researched infographic explaining the problem and why a ban on plastic shopping bags has been espoused by dozens of American cities. “How to Calculate Lottery Odds for 6/49 or Powerball” promotes my related Decoded Science article but also addresses the Canadian audience. “Celebrating the 2012 Hanukkah in Toronto” has a couple of non-synagogue events where anyone can enjoy the Jewish Festival of Lights. “Try Skating at Harbourfront for 2012 Kwanzaa in Toronto” covers another Solstice festival, even if Toronto doesn’t have any public venues for Kwanzaa in 2012. “Economy Exercise or Free Rides on New Years Eve 2012 in Toronto” includes 5Km runs for both New Year’s Eve and New Year’s Day; free TTC and other transit; and even free music. “Attend a 2013 New Year Levee in Toronto” tips readers to three New Year’s Day Levées, hints for how to find others, and offers a really useful tip for a great holiday TTC deal. It may be up for debate for Jan. 2013, but “When Might the 2013 Quadrantid Meteor Shower Arrive in Toronto?” discusses an annual event somewhere in the world; and sometimes it does arrive in Toronto. I wrote “Looking for an Orthodox Christmas in Toronto?” with just a few days to spare. It also brings a new meaning to Catholics who “double date” for Christmas and Easter. “OLG Proposal and Links to Toronto Casino Consultation” is an important public service article about the current proposal to build a casino somewhere in central Toronto…or not. It provides background, links to the source material, and also shows how to provide feedback. “Prepare to Savour 2013 Winterlicious in Toronto” is a link and guide to the official Toronto Winterlicious 2013 page. Although I don’t normally mention my DeHaan Services articles that simply publicize my articles elsewhere, “Free Website Design: How to Add Widgets to a Weebly Sidebar” includes a good discussion about using free or premium website hosting services. Likewise, “Preview of Math for the Toronto Casino Proposal” is a promotional article for Decoded Science, but deserves a shout-out, in my opinion. “The 2013 Toronto Design Offsite Festival” spotlights the annual TO DO event celebrating the best of Canadian design. “The Usual Pair of Toronto Triathlon Competitions in 2013” arrive in July and August of 2013, but triathletes need to find registration information in the dead of winter. “Bike in Toronto a Week after Robbie Burns Day 2013” combines the Burns Supper with the “Coldest Day Bike Ride” while finding a spot to mention Winterlicious. Only in Toronto, you say? Pity. “Recent Articles about Furniture Styles, mainly Wood Furniture” recaps my portfolio of articles about furniture. “The 2013 Groundhog Day in Canada and the USA” answers “when is Groundhog Day”, “what is Groundhog Day” and “what Groundhog Day activities can we enjoy”? The article covers several well-established Canandian groundhogs, and links to a variety of resources. On Feb. 2nd, I spent part of the morning tracking down the actual 2013 predictions. “Celebrate the 2013 Chinese New Year in Toronto on a Budget” also gives the date for the 2013 Lunar New Year and some background on this Chinese holiday. “Understanding Why the Canadian Penny Dropped” is a public service announcement explaining what the Royal Canadian Mint expects Canadians to do about the 1-cent coin. “2013 Family Day Holiday in Canada” gives the date for each province that celebrates Family Day 2013, but adds a focus on Family Day deals in Toronto. “What Day Is It? St. Valentines Day 2013” covers the origin and meaning of St. Valentine’s Day, along with ideas for Valentines cards and gifts. “What is Climate Change Doing to the Earth, per LearnStuff” has my answer (from the USA’s EPA) to “what is climate change”? Then a LearnStuff infographic explains the impact of climate change on the earth. “The Spring 2013 Bike Show in Toronto on the CNE Grounds” promotes this annual Toronto bicycle show as a chance to pick up inspiration and equipment for the healthy exercise of cycling. “2013 Spring Break Activities in Toronto” provides seven ways to enjoy budget-wise March Break activities in Toronto in 2013, from educational Pi Day suggestions through the arts and literature. “The 2013 St Patricks Day Parade in Toronto” answers the burning questions, “What is St. Patrick’s Day”,”When is St. Patrick’s Day”, and “What about the 2013 St. Patrick’s Day Parade in Toronto”. “Launch Daylight Savings Time 2013 in Canada and in the USA” is another public service announcement about the annual event of switching to Daylight Saving Time. Europeans call it “Summer Time”, but the USA and Canada are out of step with them. “Jefferson Salamander has Right of Way in Burlington Ontario” celebrates the annual action by the city of Burlington to protect these amphbians when they march to the ponds. “How to Celebrate Earth Hour 2013 in Toronto or Anywhere” is more inclusive than normal because Toronto only has one official Earth Hour event, as far as I can tell. Here’s a scoop: Earth Day is quite separate from Earth Hour. Who knew? “Learn How to Make Matzo in Toronto before the 2013 Passover” has an open invitation to the annual Toronto event of baking matzo bread in an outdoor oven in a downtown park. “A Passion Procession and the 2013 Easter Parade in Toronto” brings religious balance by noting the Good Friday Passion Procession as well as the Beaches Easter Parade. These are two extremes of the Christian commemoration of Holy Week; they are also tied to the Jewish Passover, in relating to the lunar calendar. “Find an Annual Maple Syrup Festival in Toronto, Ontario” includes Elmira as well as two in Toronto. “Hennessy Talent Quest for Toronto Beaches Jazz Festival 2013” offers a way to perform at the 2013 Beaches Jazz Fest in Toronto. “Commemorate the Battle of York in the War of 1812” offers many events in Toronto for one day to remember the War of 1812 and the Battle of York. “The 2013 Khalsa Day Parade in Toronto long after Vaisakhi” heads north on University Avenue and ends at Toronto City Hall; but you have to read the article to learn the date and time. This was an extraordinarily popular article the day before and day of the parade. “The Spring 2013 Beach Studio Tour in Toronto” highlights this semi-annual chance to browse or buy contemporary art from local artists. “May Day 2013 in Toronto for Solidarity and Justice” supports a coalition of groups in Toronto seeking solidarity for justice for all. “2013 Vocal Music Festival at Harbourfront in Toronto” previews the second annual SING! festival. “The 2013 World Partnership Walk in Canada” highlights the Aga Khan Foundation Canada and its annual fund-raising event in ten Canadian cities. “2013 Doors Open Toronto Opens New Doors and Spaces” beams its spotlight on “new venues with a common theme”. “Watch Fireworks in Toronto for Victoria Day 2013“. What could be better than watching fireworks for Victoria Day in a Toronto park? Knowing which park, plus when and how to get there. My May 18, 2013 article, “OLG Comes Cleaner on Casino Fees, but should Toronto Gamble?“, asks whether OLG really “came clean”, and whether Toronto or any city should gamble on the “improved” hosting fee. “The 2013 Waterfront Blues Festival in Toronto” touts this start-of-June bluesfest and also later music events at Woodbine Park as well as several other Canadian blues fests in July. “2013 Muhtadi Drumming Festival at Woodbine Park in Toronto” is a two-day event in the second weekend of June. “Walk among Art in Riverdale in Toronto in Early June” runs for the first June weekend. “Ideas for Fathers Day 2013 in Toronto” was published in plenty of time for the 2013 Fathers’ Day weekend. I don’t know how I’ve missed writing about this free annual event before now, but here’s “The 2013 Spring Beaches Arts and Crafts Show in Toronto“. “8 Fun or Charity Fitness Events in Toronto on June 9, 2013“, plus some that I’d already noted in previous articles. This is an incredibly busy weekend. “2013 Redpath Waterfront Festival in Toronto” was published almost 2 weeks ahead of the opening ceremonies; is that too early? “One Free Friday for the 2013 TD Toronto Jazz Festival” begins the same weekend as the Redpath Waterfront Festival. “Eleven Free Toronto GTA Fireworks Displays for Canada Day 2013” will serve Toronto’s neighbouring communities. “A Dozen Venues for Canada Day 2013 Events in Toronto” stays within the city of Toronto. Just over one-half of these celebrations include Canada Day fireworks displays. “Workshops of the 2013 Beaches Jazz Festival in Toronto” includes the basics of the Toronto Beaches Jazz Festival 2013, but puts the spotlight on the free workshops. “Five Free Toronto Events for July 6-7, 2013” publicizes Afrofest, Corso Italia, a Festival of South Asia, Persian Family Day and Toronto Outdoor Art Exhibition which all run on the same summer weekend. “The 2013 Salsa on St. Clair Street Festival in Toronto” is an annual free event celebrating Latino dance every July. “Burn Calories by Walking or Hiking for Summer Fitness” promotes one idea from the “5 Outdoor Activities to Help You Stay Fit” article by guest author Alexandre Duval in DeHaan Fitness. Barely written in time for this weekend, “Three Cultures Weekend in Toronto mid-July 2013” touches the Festival of India; a Caribbean parade; and “Night It Up” which is primarily East Asian. “Toronto Attractions for Simcoe Day, the Ontario Civic Holiday” notes four things to do in Toronto on the 2013 Civic Holiday weekend. “Celebrate the 2013 Ontario Civic Holiday in the GTA” balances the above article by looking outside Toronto. I even found fireworks for Simcoe Day in one out-of-the-way destination. Finally “Celebrating 2013 Civic Holiday in Toronto without Simcoe Day” admits that Toronto can enjoy the long weekend that starts August without paying homage to John Graves Simcoe. “A Dozen Free Toronto Events August 7 to 11, 2013” covers more than a dozen fun activities in Toronto for next weekend, but some do charge admission. “Enjoy the CNE on the Cheap in 2013” is unusual, since I don’t often devote a whole article to an annual Toronto event that buys so much advertising. The key difference is the guide to cheap…or free. “How to Find the 2013 Toronto Buskerfest” was published a few days before this popular street performance festival moved from its former home in the St. Lawrence Market area. The picture of Fireboy, at the top of this page, again graces my 2013 article. “Richard III, Afro Caribbean or Chinatown in Toronto for 2013” covers a trio of events available the same weekend as Buskerfest. In fact, Shakespeare in the Ruff presents Richard III for a longer period. “Three Free Labour Day Weekend Events in Toronto for 2013” includes some other cheap things to do in Toronto for this Labour Day weekend, but starts with “freedom”. “The 2013 Beach Celtic Festival in Toronto” covers the 10th annual version of this annual Toronto event. “One View of the 2013 March to End Womens Cancers” has photos of this annual Princess Margaret Cancer Centre fundraising event from Little India in Toronto. “Theatre of the Beat to Commemorate War of 1812 in Stouffville“. The next single performance comes to Stouffville in mid September 2013. I then publicized this article with “Commemorate a Win-Win Drama and Writing Topic” in my Blog of Writing, featuring a writing tip based on my writing process. “Four Free Events Outdoors in Toronto Sept. 13-15 2013” promotes four Toronto events that deserve a mention this weekend: Toronto Ukrainian Festival, Roncesvalles Polish Festival, Applicious, and the Terry Fox Run across Ontario and Canada. “The 2013 Toronto Mennonite Festival at Black Creek Village” celebrates the return, under a new name, of the MCC Relief Sale in Toronto. “My Pick for 2013 Nuit Blanche Toronto” puts the focus on one exhibition group, since the overall event is far too large for me to cover… and covered far too well by the official web site. “2013 Thanksgiving Family Activities in Toronto” has an emphasis on free or frugal family fun, along with a call to serve others during this time to “give thanks”. “2 Signs of the 2013 Scotiabank Toronto Waterfront Marathon” as I found them this week. I published “Dog Costume Halloween Parades in Toronto and the GTA 2013” on Oct. 19, just a week ahead of “celebrating Hallowe’en one weekend early”. “The First Free Event for Grey Cup 2013 in Regina” was published Oct. 21, with about a week before that first event. “The 2013 Fall Beach Studio Art Tour in Toronto” is only a few days ahead of the actual tour, but it’s been a busy week for me. Is that an excuse? No, just a poor reason. We continue to make hay from pumpkins with the seasonal “2013 Halloween Events in Toronto and the GTA“. “Where to Attend a 2013 Remembrance Day Ceremony in Toronto” was written mighty early, on Oct. 26. Then I followed up with “Commemorate Remembrance Day 2013 in the GTA” on Nov. 1st. The first harbinger of Yule is “Toronto Santa Claus Parade 2013 and Holly Jolly Fun Run“, published Nov. 9th. “Five 2013 Santa Claus Parades in the GTA” was added one day later. I followed up my previous Grey Cup article with “More Free Events for the 2013 Grey Cup in Regina“. “2013 Outdoor Christmas Caroling in Toronto and Mississauga” presents several options, and sneaks in one indoor non-caroling event. “Find Your 2014 New Year Levee in Toronto or in the GTA” for those who enjoy hobnobbing with dignitaries. My first article published in 2014 is “When is the 2014 Family Day in Canada?“. One simply must get a jump on those travel arrangements. I noticed a news flash that triggered “A More Crowded 2014 Groundhog Day in Canada” on Jan. 31. It’s been updated with nearly a dozen predictions. Ontario’s 2014 Family Day approaches. “Six Civic Museums for 2014 Family Day in Toronto” provides ideas for Toronto families to enjoy this mid-February holiday. I wrote “Make Time for 2014 Daylight Savings Time in Canada” as a public service announcement. What else should we do twice a year? “St. Patrick’s Day Parade 2014 in Toronto” was published with almost a week to spare. In the other direction for timeliness, “Earth Hour 2014 in Toronto” was written the night before the event. “The Toronto Beach Studio Tour of Spring 2014” was written a few days before the tour began. I found “Four Free Events for May 24-25, 2014 in Toronto“. With some desperation to bring people into my Running Room 10 Miler clinic, as well as to publicize a fun annual summer event in Toronto, I wrote “Train for the 2014 Midsummer Night Run in Toronto“. At the end of May, I also found a list, or three, of annual summer events in Toronto. Then I set them up in a weekend-by-weekend list. The first triple header is set for the weekend of June 7-8, as reported in “Dundas West, Riverdale, or 100-in-1 in Toronto in June 2014“. Later I added the Toronto Challenge to this article. My next trio was “Liberty Art Crawl, Taste Little Italy or Halal Food Festival 2014” for the June 13-15 weekend. July and August have “Two 2014 Triathlon Events in Toronto“. Here are the dates and venues. Past the mid-July hump comes the “Live Green Toronto Festival 2014 at Yonge-Dundas Square“. Then I added “Salsa, BIG on Bloor, Chinatown and Youth Day 2014 in Toronto” on July 17. And I’m still missing several major events in Toronto this weekend. For Simcoe Day in Toronto, I wrote “2014 Civic Holiday Festivals in Toronto” on July 29. I wish I had been right on top of yesterday’s news, but published “How to Drive to Toronto without the Skyway Bridge in Hamilton” a day after the crash, on Aug. 1st. By the time I posted “Tiptoe Past the Taste of the Danforth 2014 in Toronto“, the Taste was already in full swing. I just learned of the mid-August Quilts at the Creek event organized by the York Heritage Quilters Guild; but they will also publicize the Toronto Mennonite Festival‘s September quilt auction (and sale to support Mennonite Central Committee’s international relief work). So I wrote “Two Quilt Events at Black Creek Pioneer Village in Toronto” to publicize the pair. In Sept. 2014, I wrote “Twin Quilt Shows at Black Creek in Toronto” with a writing tip about including a disclosure in one’s articles. With only 14 hours before it started, did “Toronto Buskerfest 2014 Back on Yonge Street at Dundas Square” wait too long for publication? Cutting it close again with “Sample the 2014 Festival of South Asia in Toronto“. I broke that pattern by writing “How to See the Toronto CNE Air Show Free” on Monday, almost a week before the Saturday and Sunday shows at Exhibition Place. If only I had released the 2014 version of “getting into the Ex cheap” a week or two before that began, instead of trusting people to find the 2013 version. Then “Find the Beach Celtic Festival 2014 in Toronto” went live over a week before the event. Just a couple days later I wrote “Savour the 2014 Taste of the Kingsway in Toronto” which runs the same weekend. Here is my completely different take on what the Toronto Mennonite Festival offers: “Mennonite Singing in Toronto at Black Creek Pioneer Village“. “Toronto Thanksgiving at Harbourfront for Family Activities” adds the Black Creek Pioneer Village Thanksgiving Dinner to the HarbourKIDS program, just for variety. Remember this is Canadian Thanksgiving, in direct competition with Columbus Day in the USA. “Plan B in the 2014 Scotiabank Toronto Waterfront Marathon“: how one elite Canadian athlete handles race-day problems. “Three Autumn Art Events in Toronto Late in Oct. 2014” for art in Toronto parks or through the Beach neighbourhood studio tour. “Pumpkin Parades in Toronto Parks Post-Halloween 2014“. Say good-bye to Jack O’Lantern by leaving him with hundreds of his kinfolk on November 1st. Another international Nov. 1st festival, mainly in Mexico, is Dia De Los Muertos. I published “Three Venues for Day of the Dead 2014 in Toronto“, but one of these events runs a week later. On Nov. 8, I wrote & published “GTA Remembrance Day 2014 Venues“; it really should have gone out a day or two earlier. And followed up with “2014 Remembrance Day in Toronto” the next day; both should have been quicker out of the block. I am barely in time for “The 2014 Santa Claus Parade in Toronto“; and there are yet more parades! So here are “21 GTA Santa Claus Parades in 2014“. Another 21-gun salute with “Twenty-one 2014 Christmas events in Toronto Museums“. There are far fewer ways to “Enjoy Christmas Carols Outdoors in Toronto for 2014“. Where can you find “2014 New Years Eve Fireworks in Toronto or the GTA“? “Selected 2015 New Year Levees in Toronto” includes the Lieutenant-Governor, Mayor and a few city council members; one MPP. As a special bonus, we mention the new mayor of Mississauga too. “Celebrate 2015 Robbie Burns Day in Toronto” was published on the Friday before Sunday’s festivities; far too close for comfort. I didn’t realize that this title shared its opening word with the previous; but “Celebrate Republic Day India in the Pearson Convention Centre” points to a different city and a different nation’s event. One fun note: on Jan. 31, someone called me under the impression I’m the convention centre. So I added their phone number to the article. One annual favourite is the Groundhog Day roundup. “Prepare for Groundhog Day 2015 in Canada and in the USA” features over a dozen avid animals getting ready to forecast the future. Exhibiting true focus on a niche: “Two Toronto Museums for Valentines Day 2015” was published late in the evening of Feb. 11. In great haste I then published “Enjoy the 2015 Ontario Family Day in 6 Toronto Museums” late on Feb. 12. Isn’t it amazing how quickly Feb. 16 follows Feb. 14? Then came “2015 Chinese New Year in Toronto, the Year of the Sheep“, published Feb. 16 for the celebrations on Feb. 19 (this year). Somehow I missed Flag Day Canada, which is Feb. 15. I’m finally getting a bit ahead of the calendar by posting “Enjoy a Frugal Toronto March Break 2015” on Feb. 22. Hmm, what did I miss for this weekend, or next? Next I wrote “2015 St Patricks Day Parade and Races in Toronto“. Surprisingly, these annual Toronto events are on the weekend that opens March Break 2015. I then publicized these last two articles with “St. Patrick’s Day Parade Leads March Break in Toronto” in my Blog of Writing, featuring a recycled writing tip from “Research Session Gave Birth to Twin Articles” (from my Family Day and St. Valentine’s Day articles above). “Why Write Two Running Tips for Cold Weather?” publicizes my Feb. 23rd “Two Cold Weather Running Tips from Two Frigid Days” in my DeHaan Fitness blog. I published “Find an Ontario Maple Syrup Festival near Toronto in 2015” on Feb. 26th, just before the weekend when local conservation centres were scheduled to begin a month of sugar bush festivities. My Blog of Writing then publicized it on Feb. 28 with “One Writing Tip from some 2015 Maple Syrup Festivals“. “The Spring 2015 Green Living Show in Toronto” was published March 16, 2015; well in time for this event. “Mothers’ Day 2015 in Toronto and in Mississauga” squeaked onto the Internet on May 6, with Mothers Day waiting just around the corner on the 10th. Too bad I didn’t include “frugal” or some such in the title. I wrote and published “Finding the 2015 Victoria Day Fireworks in Toronto” on May 12, after updating the WordPress installation and theme for my site. This article is for those hoping for fireworks in Toronto this coming Victoria Day weekend. Free admission to an art exhibit and sale, plus four “Doors Open” venues: all in my neck of Toronto this coming weekend. As published in “Doors Open or a Small Space for Paintings in Spring 2015 in the Beach” on May 20. Talk about deadlines: the “2015 Oshawa Generals Victory Parade Route” was hard to find, but it’s on Tuesday after a victory on Sunday. There’s no time to waste for a championship hockey parade in the GTA. While running, I saw a sign advertising this event. “Every June, Riverdale Culture is an Art Walk in the Park” was written with almost a week to spare. “One View of the 2015 Toronto Challenge 5K Charity Run” was started a few days before the event. I updated it on Sunday after running the race, although it does not have my official finish time yet. “The Toronto Beaches Arts and Crafts Festival for Spring 2015” remains in one of the prettiest settings for an annual spring Toronto event. I wrote “How to Find Tickets for the TO2015 Pan Am Games in Toronto” after realizing how much effort I had to invest before spending a dime on the actual tickets. “Frugal Fathers Day 2015 in Toronto” almost managed to stick with “free” events, but I did include some that had a small price to pay. Where and when are the “Official Canada Day Fireworks Displays in Toronto“? When and where are the “Canada Day Fireworks and Festivals in the GTA for 2015“? Here is the first of two photo-essays, with images taken by my wife and myself celebrating “Canada Day at the East York Parade and Stan Wadlow Park“. I’m responsible for taking the photographs in “Canada Day Fireworks in Toronto at Ashbridges Bay“. African music and culture meets a PanAm torch in Toronto on July 5, 2015 at Woodbine Park, as I predict in “A PanAm Touch for Afrofest 2015 in Toronto“. On July 6th I wrote “Unsung Heroes of the TO2015 PanAm Torch Relay in Toronto” to celebrate some of the unsung heroes escorting the TO2015 PanAm Torch relay in Toronto. Here’s my follow-up report on the improvements to this important street: “Queens Quay West during a TO2015 PanAm Weekend in Toronto“, only about 3 weeks after the grand opening. On July 18, I finally wrote “Find Free TO2015 PanAm Events in Toronto and the GTA“. On July 23rd, the PanAm Games were still on my mind: “The Aboriginal Pavilion for the TO2015 PanAm Games in Toronto“. “Two Free 2015 Caribana Toronto Events” was written July 27, just a few days before the Caribbean Carnival weekend. I finished July with “Island Soul at Harbourfront during Caribana Toronto 2015“. ‘Island Soul’ offers free entertainment, music and dance workshops, the World Cafe, and shopping. It’s a perfect complement to Caribana. August started with “Taylor Creek Park in Toronto for Fitness“, with photos from a walk with my wife and my opinions as a runner on the trail. I then wrote “Taste of the Danforth, Horsecapades or 2015 ParaPan Games” because these three events coincided… but I found ways for people to work all three into their schedules. I decided to continue my fitness posts by starting a series about this trail: “The Eastern Section of the Martin Goodman Trail in Toronto” on Aug. 10th. “To Copyright a Few Images in August 2015” has the main purpose of being ready to publicize an upcoming article in Decoded Science. I wrote “Visit both China and Iran in downtown Toronto in August 2015” in mid August, with just a few days before these annual Toronto events share a weekend. 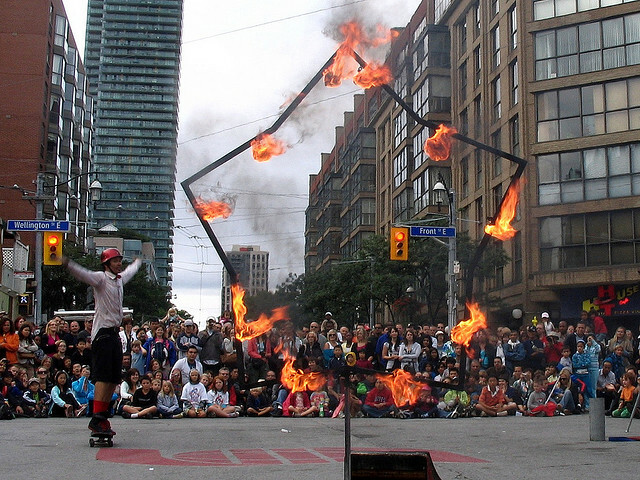 “What’s New at Toronto Buskerfest 2015” was written almost a week before the 2015 version of this annual Toronto summer event. Later I updated it with some photographs from the event, specifically around the children’s activity zone. I took photos of “The Toronto Chinese Archway at Gerrard and Broadview” while jogging to Buskerfest. This landmark has made history since it was erected in… nope, no spoilers on this page! “Hot and Spicy Exhibition for Labour Day 2015 in Toronto” closed August, with a week to go until Labour Day itself. Six different annual events fit inside this one article! My annual promotional article for TMF, “Black Creek Pioneer Village Hosts the 2015 Toronto Mennonite Festival“, was published on Sept. 13. Then my Sept. 15th article, “Scarborough Arts Council hosts a Weekend of Poetry“, promoted their upcoming Poetry Came in Search of Me series. An advertisement in the Toronto Star newspaper reminded me that it was time for a new article; I’d updated one old post too many times. Here’s the new “Woofstock 2015 in Toronto for Furry Fun with your Dog“. I learned of this auction through my part-time job, but “Beach Art Auction long before the Autumn 2015 Beach Studio Tour” covers two worthwhile events. “Preview of Images for Bayes Theorem Articles” simply establishes copyright for several diagrams I made for upcoming Decoded Science articles. I wrote the “Post-Thanksgiving Toronto Premiere of This Will Lead to Dancing” to promote the upcoming event at the Toronto United Mennonite Church, in October 2015. “Remembrance Day Events in Toronto for 2015” points to ceremonies at Toronto City Hall, Queen’s Park, the various civic centres, and the Metro Toronto Zoo. The “2015 World Cup Short Track Speed Skating in Toronto” may be a once-in-a-lifetime opportunity for this city to see world-class speed skating. Just guess the answer to “Can I Hit or Miss the 2015 Diwali in Toronto?“. We’re looking forward to spring; it must be time for “The North American 2016 Groundhog Day“. Here are some notes from the “2016 Taste of the Danforth in Toronto“. This page is up-to-date as of Aug. 9th, 2016. Return to main DeHaan Directory page.